You can start installing your database on an AMI with the operating system of your choice, or even select an AMI provided by Oracle and set up the included Standard or Enterprise Edition. SimpleDB is an option if you prefer the scalability and availability of a non-relational database. The relational database service from AWS offers a convenient and easy way to create and manage an Oracle MySQL database as a cloud service. Starting today you can use RDS to create an Oracle database. So for the first time in the short history of cloud computing a licensed Oracle database can be used in the cloud with a pay per use model! You pay the database instance per hour used (or bring your own license)- and only this is real cloud computing. I summarized my view in a detailed 12 page whitepaper (the weather here is too nice and I can’t bother myself putting all the screen shots into this blog posting). 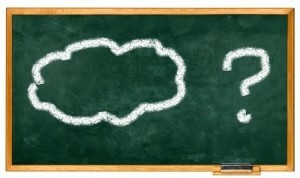 Cloud Databases and Oracle Whitepaper. UPDATE: As of Aug/2012 there is support for APEX, Oracle XML DB and VPC now! If you like to know more after reading the whitepaper have a look at my Oracle Cloud Computing book at Amazon and join the book’s Facebook site! For an updated version of this workshop see here or contact me directly. I’ll be offering a 2-day cloud computing workshop 2+3. May 2011 in city center of Munich. A second event is planned for Sydney later this year and will be announced by the Australian Oracle User Group. After a basic introduction and the discussion of common misconceptions we will cover advanced topics such as how to achieve true elasticity, load balancing in clouds, queueing, notifications and databases in clouds. This workshop is centered around Amazon Web Services (AWS) technologies such as EC2 EBS images, RDS, SQS, SNS, ELB etc. 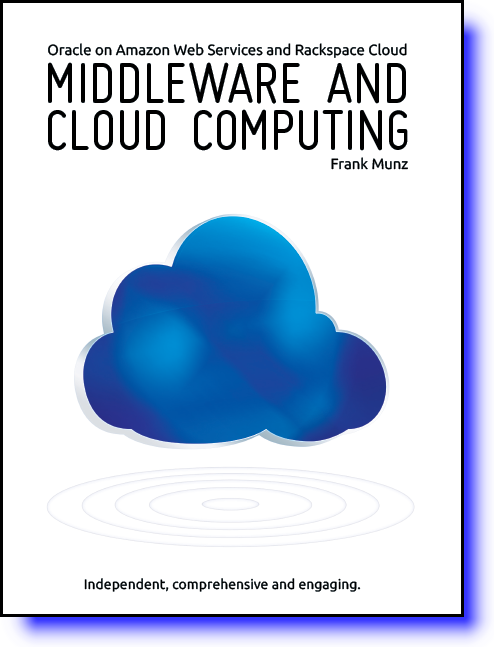 The workshop includes a free copy of my Middleware and Cloud Computing book, printed course material, a pre-configured lab environment to take home as a virtual image on DVD. Please contact me via email for registration and further details.